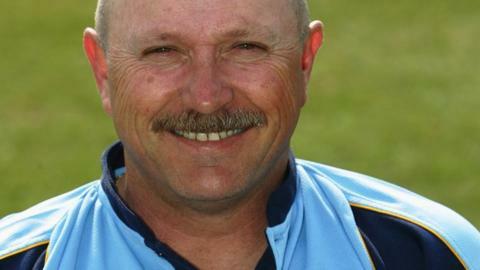 Former Zimbabwe coach Dave Houghton will assist Ireland during their tour of the African nation later this month. Ireland coach John Bracewell described Houghton's addition to his staff for the one-day series as a "real bonus". Houghton's role will be as a batting consultant but Bracewell believes the 58-year-old's input will also help the Ireland bowlers. "I have always admired his manner and temperament in and around cricket," added the Ireland coach. "His coaching brief in Zimbabwe will be 'game sense' - passing on his insight into what the modern batsman is thinking. "This will benefit not only the batters, but also the bowlers. Advising on how the opposition batsmen are trying to manipulate them, and how best to counteract this." Houghton played 22 Test matches for Zimbabwe during a 20-year playing career and averaged 43.05. Since retiring, Houghton has coached the Zimbabwe national side, been head coach at Worcestershire and director of cricket at Derbyshire. After further stints on the coaching staff at Derbyshire and Somerset, the 58-year-old was appointed as Middlesex's batting coach last year and he remains in that position. Ireland will play three one-day internationals against Zimbabwe on 9, 11 and 13 October before a four-day game against Zimbabwe A which starts on the 17th. The Irish will then move on to Windhoek for their Intercontinental Cup game against Namibia which begins on 24 October.